Witness the top pins on Pinterest for the month of June 2018. Make sure you are following Frugal Coupon Living on Pinterest! I encourage you to pin the pins below for later to your favorite Pinterest boards and make sure you are following Frugal Coupon Living on Pinterest! We appreciate your following and thank you for joining our Pinterest community. Look back at our top pins for May 2018. Happy Pinning! Free Sunday School Printables. Get your printables Here. Does summer have your Sunday School a little off schedule. 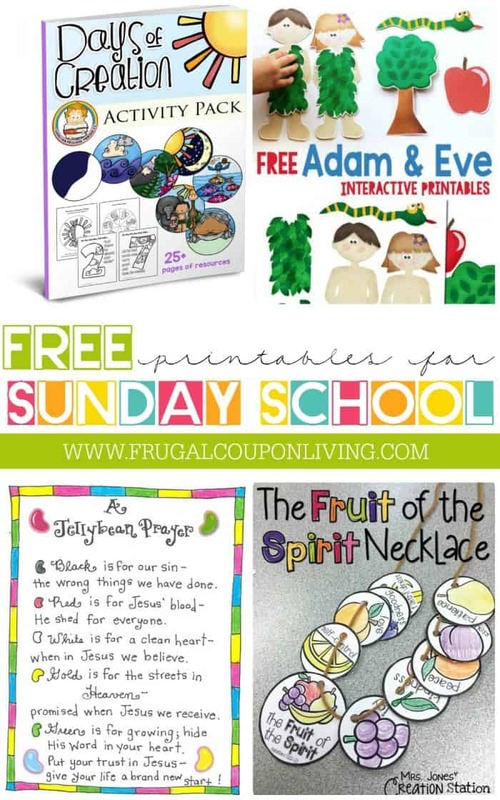 Take a look at some of these creative Sunday School Printables. Use during summer or save some ideas for Easter, Christmas and other Christian holidays. This would be great to share with your child’s Sunday school teacher. Pin this Idea to Pinterest. Remodeled Bathroom Ideas. Get your ideas Here. Updating your bathroom? Sticking to a budget? 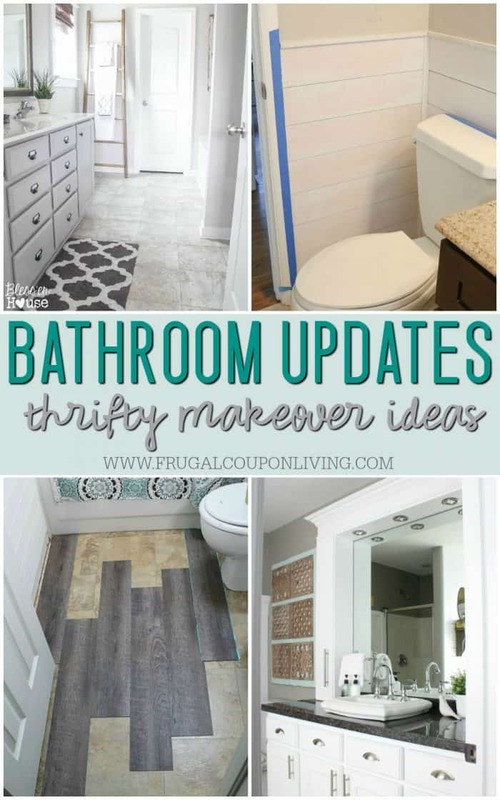 Take a look at these creative bathroom makeovers for individuals on a budget! Save money, have fun, make it look like a million bucks! Pin this Idea to Pinterest. 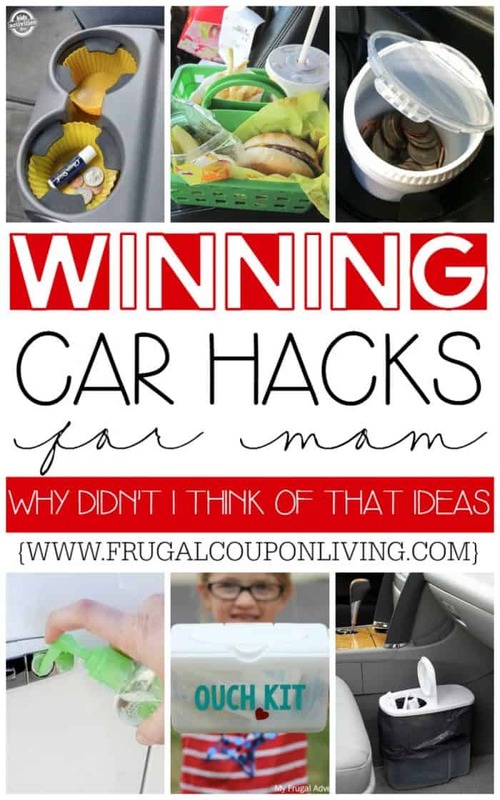 Winning Car Hacks for Mom. Get hacks and tips Here. Hey mom, take a look at these car hacks. Three are my favorite – the cereal container, the mason jar with holes and the diaper wipes box – guess what you can do with each. Pin this Idea to Pinterest. Dorm Room hacks and Tips. Get your Dorm Room Ideas Here. Have a child headed off to school? Take a look at these dorm room hacks and tips for decorating. These ideas are also great for teen bedrooms and young adult apartment living. Enjoy! Pin this Idea to Pinterest. Midsummer Night Patio Ideas. Get your tips Here. This is one of our more popular posts. Take a look at ideas for your patio decor. From the most perfect lighting, ambiance and ideas to create the most perfect home escape and getaway. Also check out our curb appeal ideas. Pin this Idea to Pinterest.